Wow, what a great month! We had so many entries this month and it was so hard to choose. A lot of great quotes and creativity. Congratulations to Grace for her outstanding usage of her Wall Quotes™ decal. You can utilize any space imaginable. What a great place to showcase this. 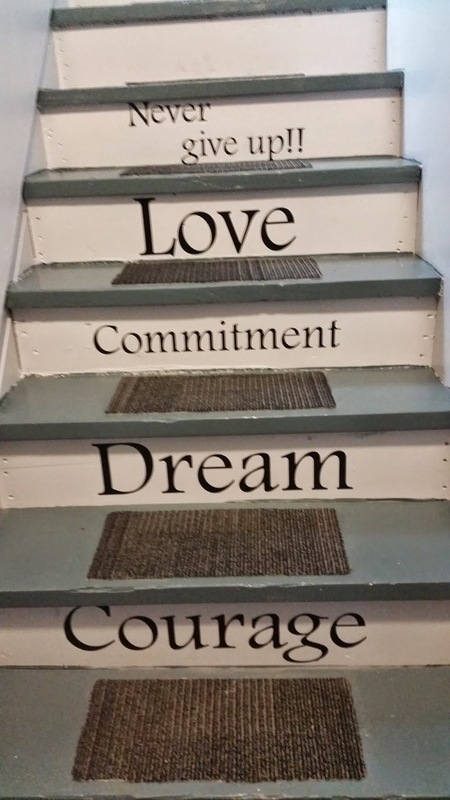 Each step is a reminder of always moving forward and what it leads too. This would be great in a school, gym or any sports facility. The commitment and drive that we see in our youth and athletes is so inspiring. These are powerful words! You can always design your own as well. We're always looking for those photos to be sent in so we can enter you into our monthly photo contest. We pick a new winner each month and award a $50 gift certificate.